Ladies and fashion go hand in hand and there is not denying it right? 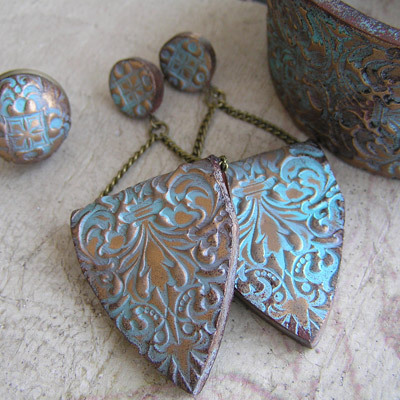 Off lately we see a surge of accessories and jewellery trends that are hitting the market. 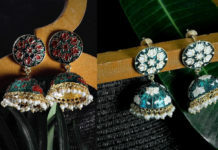 One such trend is that of Meenakari earrings. Yes! 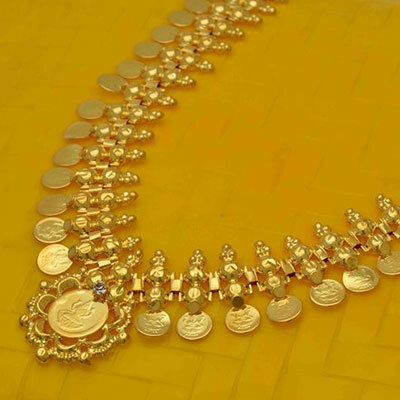 A tasteful blend of the royal designs with a dash of contemporary freshness is making waves in the jewellery industry. 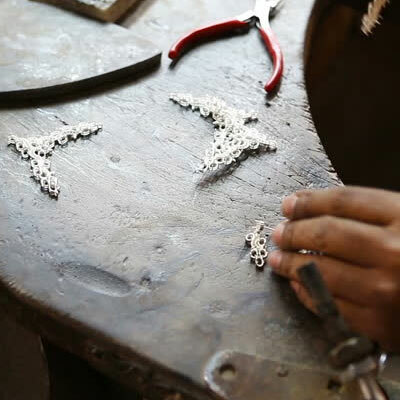 These meenakari jewellery designs are here to stay. 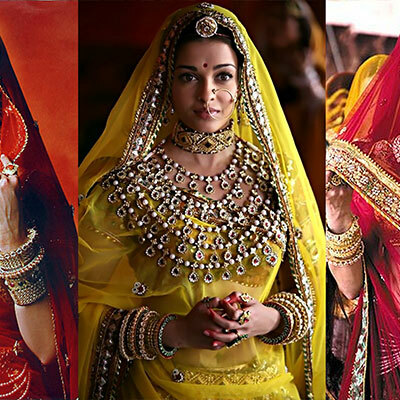 Such vibrant colours and ethnic designs that are so versatile. 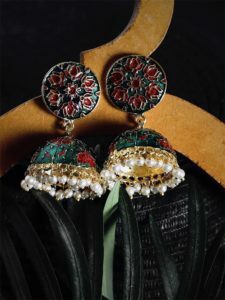 If you are planning to try out this meenakari jewellery trend then look no further- we have a list of stunning earrings that are high on fashion but light on your pocket. So what are you waiting for? 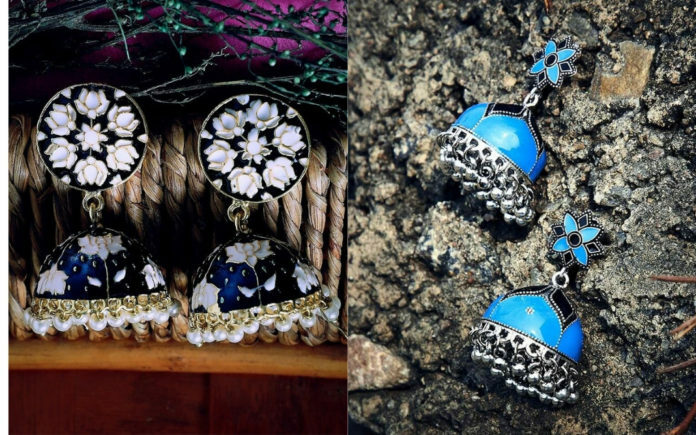 Spare 600 INR and flaunt these beauties away! 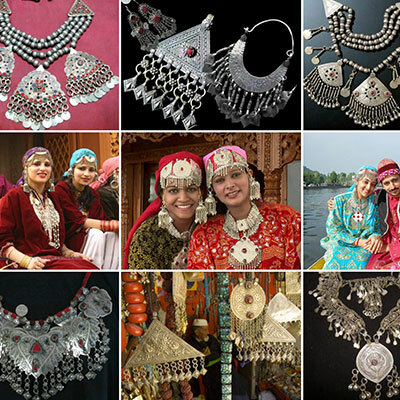 These jhumkis have been crafted in brass metal, embellished with intricate work, and plated with silver. Blue colour being a neutral colour complements more or less every outfit. These beauties add a hint of temple jewellery touch to their appeal. 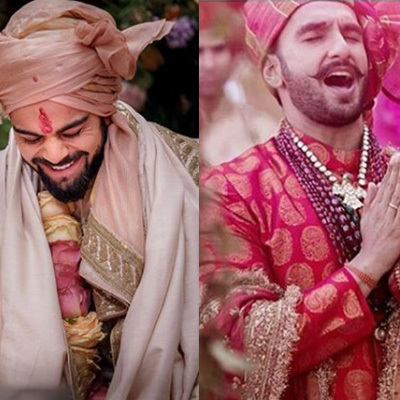 No wonder they would go well with your silk saree or even a basic kurta/ suit combo. A classic colour combination that has the versatility to amp up any outfit with a dash of traditional charm. 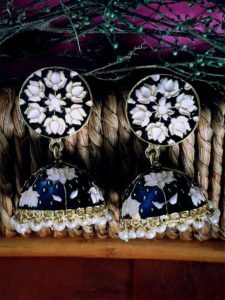 These jhumki earrings will make a striking addition to your jewellery trousseau. 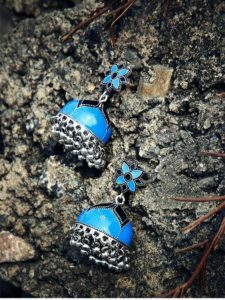 These floral blue meenakari jhumki earrings feature fine intricate finish, with a colour combination of green and blue it sets the earthy tone for earrings. 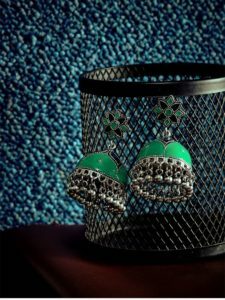 Pair them up with your kurta jeans set or a cotton saree and flaunt away! 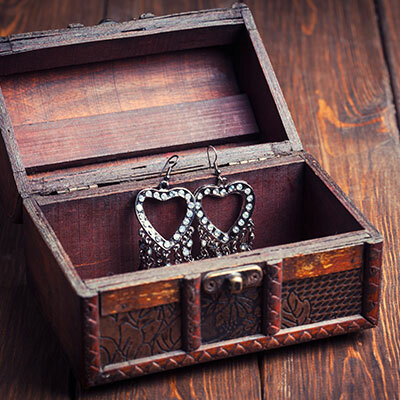 So ladies, which earrings did you add to your cart? Tell us in the comments below.